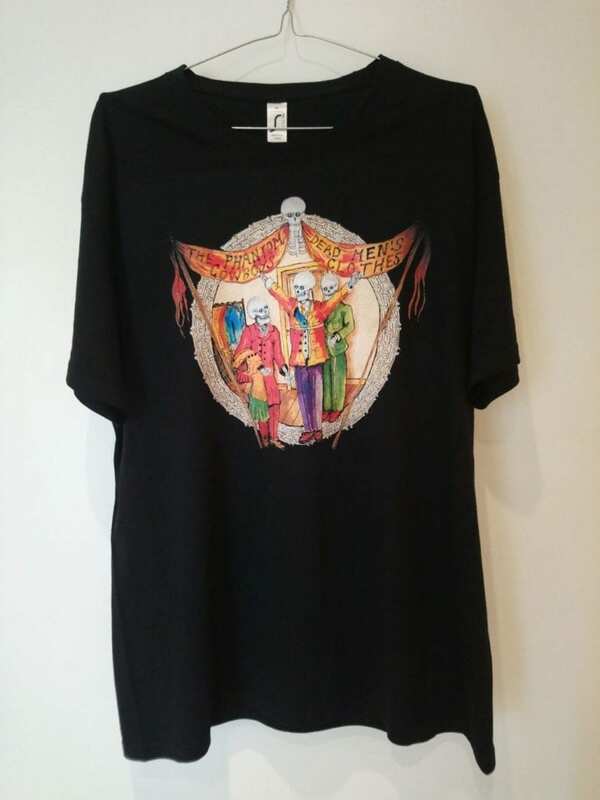 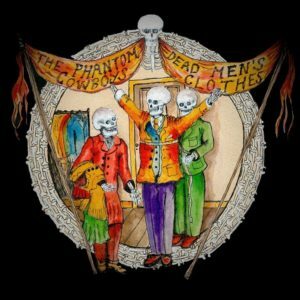 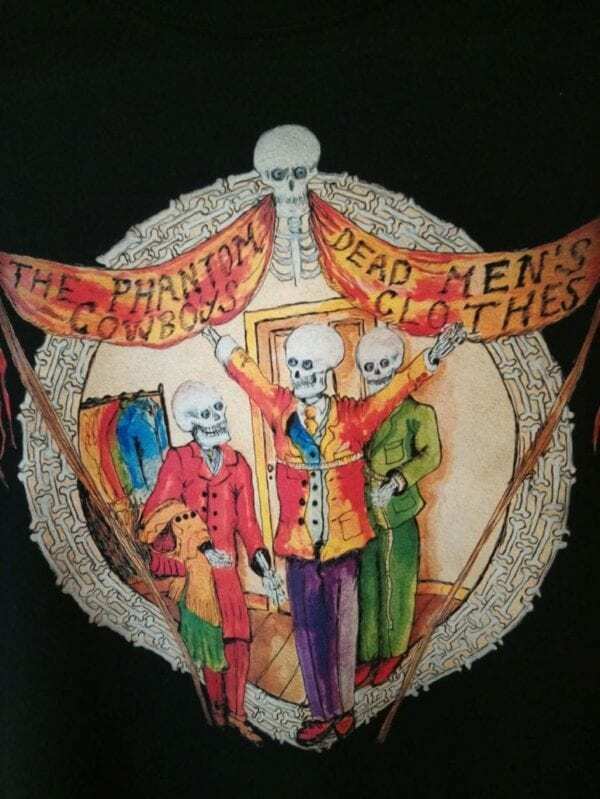 Black 100% cotton t-shirt featuring the original artwork from the cover of Dead Men’s Clothes EP by The Phantom Cowboys’ singer and guitarist Lord Emsworth. The image is reproduced here in full colour with all detail from the cover art intact. 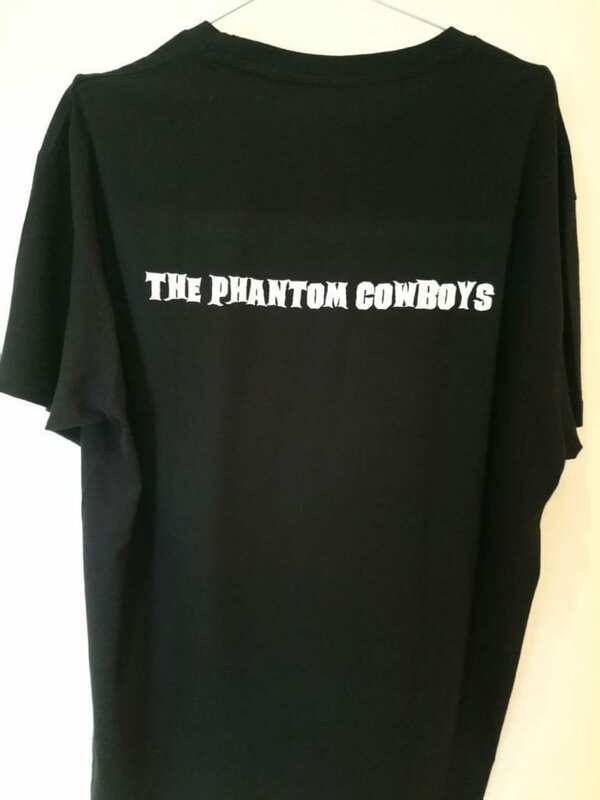 The back includes white ‘Phantom Cowboys’ logo across the shoulder blades.